We’re only in the States for a precious few weeks this summer, so I’m packing the time full with all the stuff I miss while we’re in China. Since the theme at Velvet Ashes is “Top 10” this week, I put together a Top 10 list of my own. ALL BY MYSELF. WHEREVER I WANT TO GO. Not that I’m going anywhere spectacular, but, oh, that freedom. Zero people care that I have entered the grocery store. Zero people mob me to take my picture at the park. Zero shopkeepers will gossip about what I bought from them this week. 8. 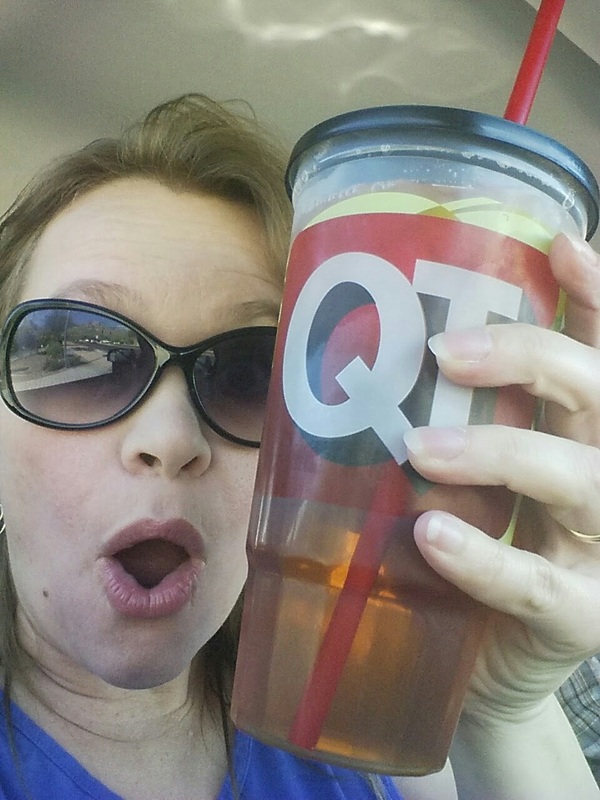 Giant glasses of iced tea. This could be a Top 10 list all on its its own, friends. Real refried beans, made with lard, as they should be. Real tortillas, also made with lard. Carnitas, tamales, guacamole, carne asada, carne seca, tacos al pastor, chilaquiles, posole…there are just not enough meals for me to get my fill, and not enough room in the customs restrictions for me to bring it across the Pacific. Let’s be clear: I normally hate shopping. I’m apparently one of the only six females on the planet who do. And yet, there is so much happiness in walking into Target, Walmart, or even a grocery store and getting exactly what I am looking for, the first time. I don’t need to spend days shopping for a light bulb, or take my chances ordering online. Plus, they don’t laugh at my shoe size here. Public libraries with classes and activities for kids, public parks and playgrounds, community concerts and performances, art exhibitions, historical sites, hiking trails, and on and on. The U.S. does public amenities really well. I can see the sky! All over the place! I know this is the one that is supposed to stay off the list (“What do you miss most about the States – besides people?”) but it’s so true. I get very happy about seeing friends and family, and am always so sad when our time is limited. All the more reason to look forward to eternity, right? Great list…glad you are enjoying your #1 at the moment! I don’t care to go shopping either, so there are only four more out there. Sky? I’m confused. Granted, I just assumed, but I was always under the impression that sky came with every location on the planet. Our view of the sky is normally blocked by a lot of buildings, and I’m sure it’s blocked by pollution for many folks in China. It’s amazing to be able to see sky anywhere I look while we drive around Arizona! Giant Glasses of ice tea….when we first came to Russia, folks here didn’t drink anything cold…and certainly not tea. They do now, but for years I drank hot tea while sweating and wishing for a big glass of ice tea – sweetened or not! Yup, I can relate to tea so hot you can barely touch the glass, served in the middle of sweltering summer humidity. I’m appreciating the ice while we’re in the States! I do so get that list. It was a great reminder of all I have to be thankful for all the time. ENJOY YOUR TIME!!!!! Yes and Amen and I get all ten. Especially the last one. China ain’t Chiang Mai, and even that was a stretch for a woman on an NGO trip from City of Grace who couldn’t handle the bathrooms ( which weren’t even the slit trenches in China !!!). I can’t tell enough of my friends whst all y’all go without and put up with for the sake of….love. Glad you can relate, even if it was only a short trip. Maybe this point is moot, but when I came to China, MANY things were always lurking in the back of my mind (stomach?! )… cravings that were far too strong sometimes. Now that I have kiddos here, and it’s much easier to cook and stay at home to eat, I’ve learned to make lots of things… things I crave like crazy, and apparently you do too! You wouldn’t want to use the strained fat for cookies but it should be really good in tortillas. Rendering lard is pretty easily done in a crock pot and I love to use it as a butter substitute (SO MUCH CHEAPER!) I use it cookies, pies, almost anything that calls for butter but you don’t need the specific butter taste (so not sugar cookies – although I will do half and half sometimes.) You can buy the correct fat at most meat markets. Ok, now I’m intrigued…I make lots from scratch, but tortillas I’ve never tried…can you please share how you make tortillas?! Haha! Love this article! I am a missionary and live overseas. But this is crazy funny…the only time I have ever gotten giardia is in America…from public drinking water in the mountains of Colorado. That’s really funny, Lynn! Well, sad that you got giardia at all, but ironic that it was in the States.